Wow!.... Melania Trump in Sicily! Wow!…. Melania Trump in Sicily! WOW! First Lady slays it! Mrs. Donald Trump made quite the appearance today at the G7 summit in Sicily. 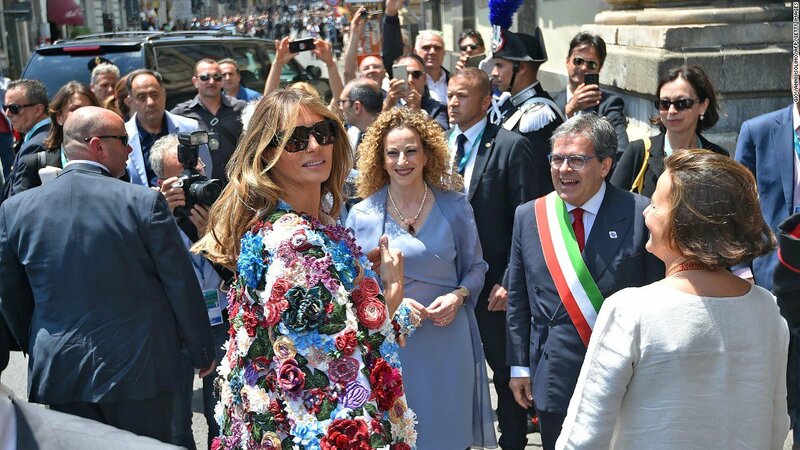 America’s First Lady killed it in Sicily today at the G7. The Dolce and Gabbana jacket was priced at $51,000. On Thursday Melania Trump spoke Italian with the children at the Bambino Gezu Hospital in Rome. All eyes were on Melania Trump.